Casa de la Playa Portobello is a special vacation rental home located on the Zippers Surfing Beach in Costa Azul, San Jose del Cabo. This beautiful home offers 3 bedrooms and 3 bathrooms and is one of the very few homes located by the surfing & swimming beach in the Los Cabos area. Casa de la Playa Portobello is a 2500 sq. ft. beach home that is nicely decorated throughout for your enjoyment. Relax and enjoy your vacation around the swimming pool and enjoy the sounds of the ocean, just steps away. This beautiful home is located just minutes from some of the finest golf courses in the world and 20 minutes from the International Airport. You will have everything at your fingertips for a vacation that you will always remember!!! 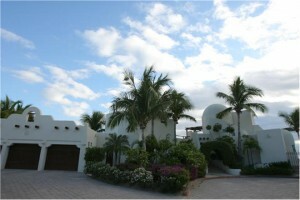 Come and visit Casa de la Playa Portobello as it welcomes you to our “Paradise” in Los Cabos! This entry was posted in Uncategorized on March 22, 2011 by .